Encore District Condos is a New Condo by Plazacorp Urban Residential Communities located at Adelaide St W & Widmer St, Toronto. Formerly known as Theatre District 2 Condos. Encore District Condos is the second phase of Theatre District Condos by PlazaCorp. Plazacorp Communities and Quadrangle Architects have partnered to make this landmark project. 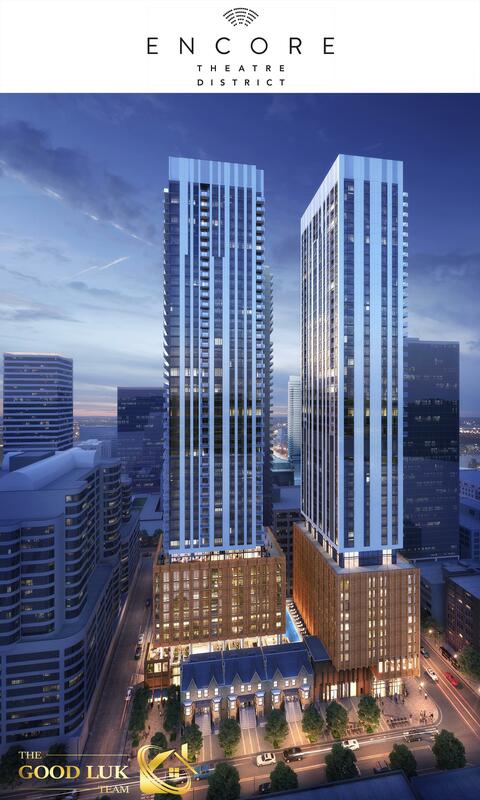 This tower will have 49 Storeys and 180 units. This premium project has 100/100 Transit Score and Walk score of 100/100. Contact us now for VIP platinum buyer incentives!